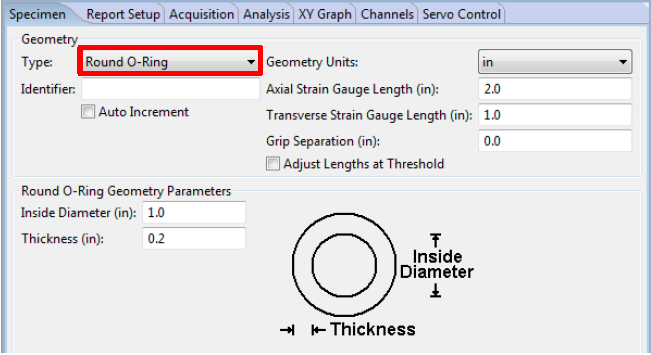 In this post, we will show you how to set up MTESTQuattro to set specimen geometry for o-ring specimens. O-ring testing can be accomplished with an eXpert 7600 single column testing system and a set of specialized o-ring tensile fixtures. With MTESTQuattro running, navigate to the specimen tab. 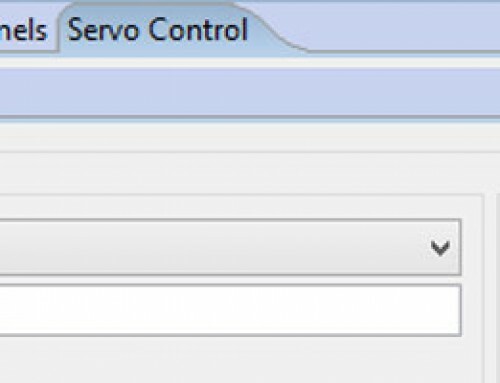 In MTESTQuattro, go to the Specimen tab of the active test procedure. 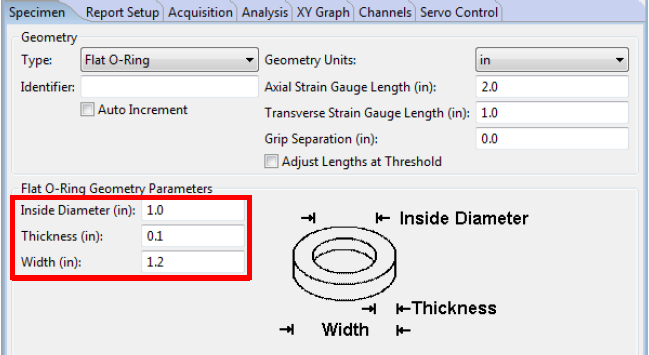 Select Flat O-Ring as geometry type (Figure 1). Select Round O-Ring as geometry type (Figure 1). 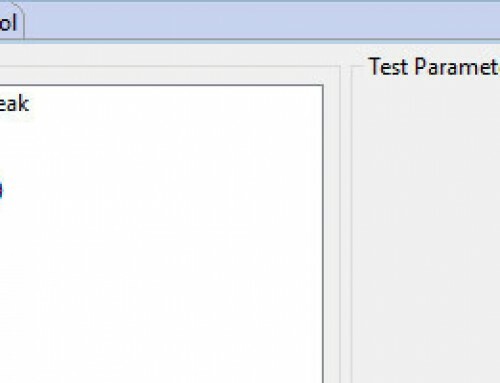 In MTESTQuattro, go to the Analysis tab of the active test procedure. 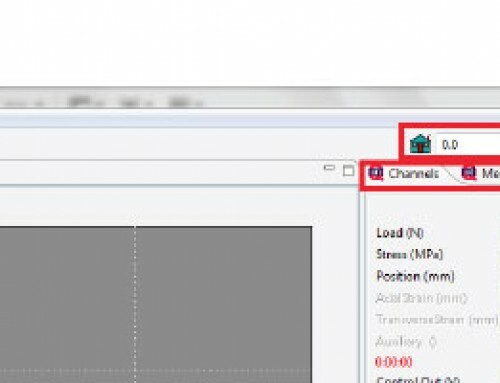 Select User as the analysis suite. Highlight O-Ring and click Select. 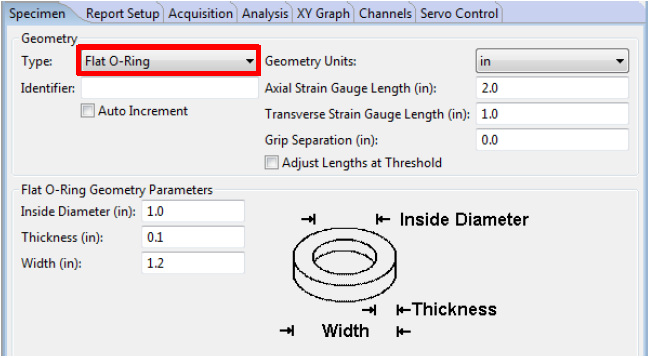 O-Ring should now be listed in the selected analysis section. 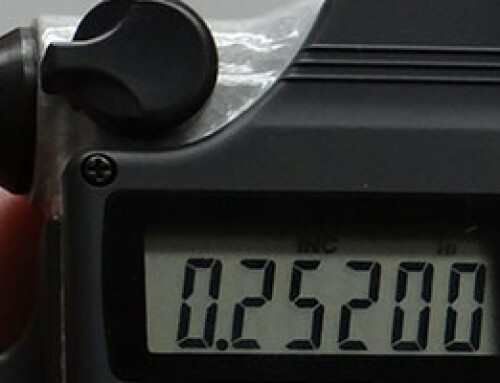 Update specimen dimensions in MTESTQuattro if necessary (Figure 4). 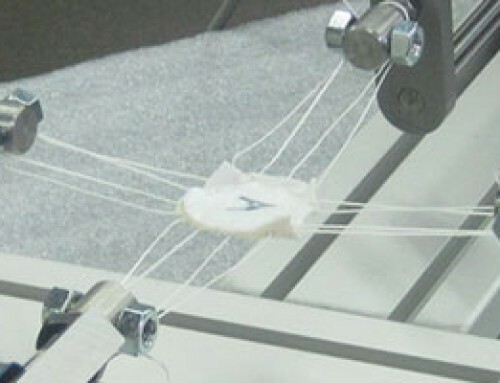 After the test has completed, the Tensile Strength (psi) and Elongation (%) will be calculated. Have a question about o-ring testing? We're standing by to help!